Focusing on staying fit should not be reserved only for adults. In today’s age of computers, tablets and online games, children should be encouraged to get in shape as well. Still, encouraging children to be careful about their fitness without hurting their self-esteem can be a really tricky thing to do. That is why the best way to do so, is without them really noticing it. If you are careful about it you can always think of activities which are fun but promote healthy lifestyle as well. Do not worry if you are stuck either, because we have come up with a couple of ways to do this. Of course, the food your children are eating plays an important role in them staying fit. You can even manage to encourage your children to work out, but if they keep eating junk food and candies all the time, they will not make any progress at all. But this is something what you are in charge of. Children do not make money and buy no groceries, this is all up to you. You should make sure there are always healthy foods such as fruits and vegetables in the fridge and encourage your children to eat them. Also, you should always try to serve some healthy snacks that burn fat to your children instead of potato chips and other unhealthy snacks they simply love eating. Another important thing to mention is that you should discourage drinking of sugary sodas completely. These are one of the biggest causes of child obesity today. Working out is of course, one of the best ways to lose weight and get in shape. But the trouble is, children do not see working out as having fun and usually choose not to do it. It is up to you to make working out interesting for them and encourage them to do it. Of course, this are not workout which involve weights or any other workout equipment. You can simply get your children a bike or a rollerblades and have them ride it. Also, is there a child who does not like jumping on a trampoline? A child can actually burn the same amount of calories by jumping on a trampoline for 10 minutes than he would by jogging for half an hour. So getting one of these seems like a great option. You should also go hiking with your children from time to time. This is another time you can encourage them to eat healthy, by bringing snacks such as fruits and vegetables. Another great way to encourage your children to move around is when they are playing with other children. We all know how much they can run when playing tags and similar games. You can talk to the parents of your children’s friends and organize sport matches for your children. Another opportunity for this are children birthday parties. Who says birthday parties have to involve tons of snacks and sugary sodas. You can actually organize a sports party, where the children are going to have fun but also be active at. These can be great for both boys and girls and can involve any sports they like. Not only such parties are a great high-energy option, but they also help your children learn more about teamwork and competitions. 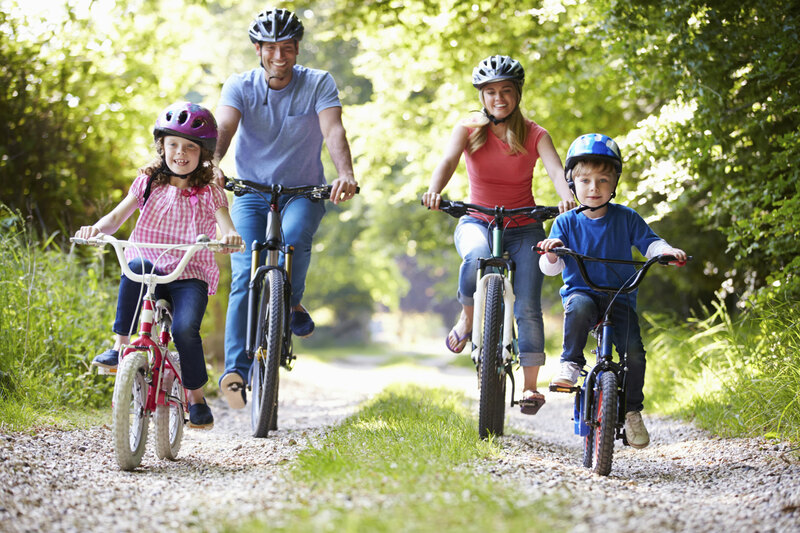 As a parent it is up to you to make your children stay active, without them even noticing it. Remember that you should never make negative comments about their weight as it can hurt their feelings and self-esteem. Instead, always look for new ways to make them stay in shape. Once children learn how to lead a healthy lifestyle, there is much less worrying about any potential health issues as well.